Leather is the premium material of choice for any home theater seat, but in order to keep it in optimum condition, proper care and maintenance is required just as with any other material. The following are a few helpful facts everyone should know about leather, including tips on how to maintain your new leather seat to look its best. The first thing to keep in mind about leather, is that it is not a synthetically made substance. It is taken from nature, therefore it will retain variations in color, shade and texture that are typical of any natural product. Indeed, these rich variations are a part of the reason why the material is so treasured among home theater seat enthusiasts. Leather is also prized for its elasticity, which can easily adapt to the natural contours of the body. Therefore, some amount of stretching is to be expected over time and is not a cause for concern. 2) Never place your home theater chair near heaters, radiators, or anything which gives off a warm, dry atmosphere. This will help prevent drying and hardening of the material. Make sure to keep at least a 20 inch distance from any heating agent, and maintain the room at normal humidity levels. 3) Leather should be vacuumed on a regular basis, to prevent dirt and grease from clogging the pores. 4) A slightly moistened cloth should also be applied regularly to remove dirt and grease. 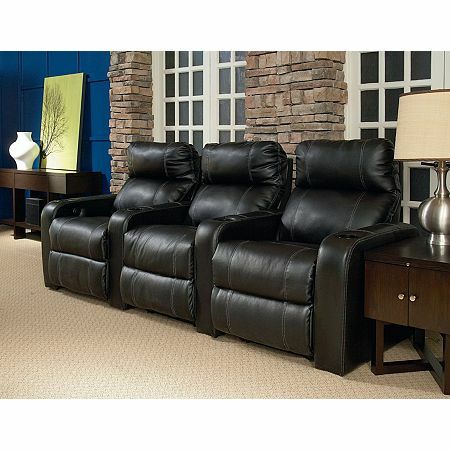 Do not use other cleaners or conditioners, which can damage the leather and also void most warranties. Although all products are packed and shipped very carefully from the manufacturer to your home, the material may exhibit a few extra folds, depressions or wrinkles that are normal after transportation. These irregularities will settle over time; often, a simple pat-down of the cushions and back of the seat will return it to its natural shape. 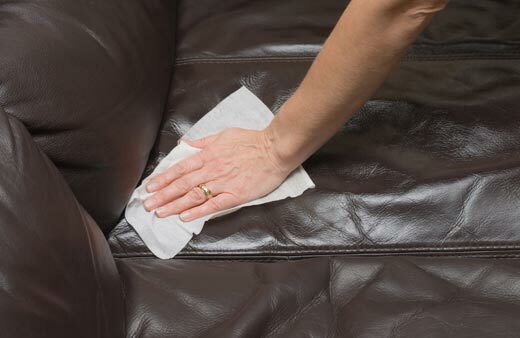 Just remember, a little care will go a long way to making sure that your leather seat will look ageless for years to come, and a permanent fixture of your home theater decor. Welcome to 4seating.com! We have the largest selection of in-stock and ready-to-ship home theater seating and home theater furniture available! 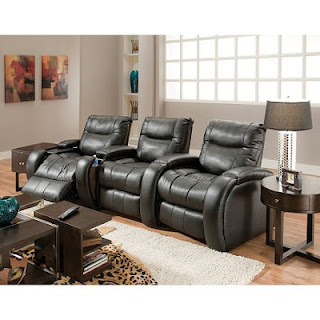 We offer theater seating and design solutions for both the casual and professional home theater enthusiast. We also have a complete line of custom home theater decor available.